About Change & Strategy International Ltd - every successful change requires a clear strategy. Every successful strategy requires change. Align their organisations to successfully implement sustainable change. 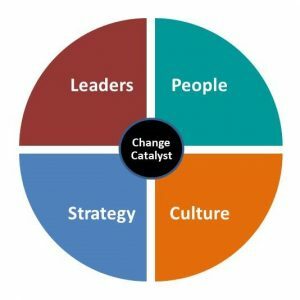 Based in Oxfordshire, UK, Change & Strategy International Ltd is owned by Campbell Macpherson, who has been enabling organisations to successfully instigate change for almost thirty years across the UK, Europe, US, Australia, Asia and the Middle East. Campbell and his team of specialist associates travel to wherever their clients need them to be. Company philosophy: We believe that a small number of external experts working closely with an organisation’s people is the best way to achieve strategic clarity, organisational clarity and long-lasting business improvement. Your people are the only ones who can deliver your strategy. Your people are the only ones who can deliver the change your business requires. We enable them to do just that. He has been enabling organisations to successfully instigate sustainable change for almost thirty years across the UK, Europe, US, Australia, Asia and the Middle East. Campbell believes passionately in the power of clarity and aligning people to deliver. What drives him is a burning desire to make a positive difference to the way that organisations work – and the impact they have on their customers, employees and shareholders. 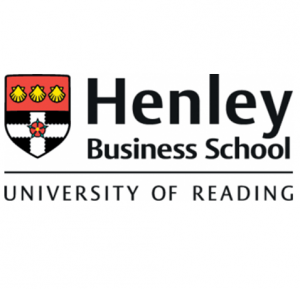 He is an adjunct faculty member of Henley Business School. He is a NED of Excursions Ltd, the UK’s premier shore excursions partner to the cruise industry. He is a sought-after and engaging keynote speaker, in demand worldwide. Go to the ‘Speaking‘page of this site for more information. He delivers ‘Leading Change’ and ‘Embracing Change’ workshops for leaders and leadership teams worldwide. Senior Adviser to the Abu Dhabi Investment Authority, one of the world’s largest Sovereign Funds. He has also advised dozens of other companies on strategic and organisational change including Invesco, Uponor, Bibby Group, Excursions Ltd, IFDS (State Street & DST), International Personal Finance, Friends Life, Aviva, Gocompare, iPipeline, James Hay, Cofunds, Sesame, Misys, Openwork, Centaur Media, Capital Radio, BBC, Telewest, American Express and Lazard. He founded one of Australia’s first multimedia marketing companies. He was a NED of BP Northbound, a family-owned business that grew to be BP’s largest independent Queensland forecourt. Campbell has written feature articles for numerous publications including IOD Director, AMBA Ambition, I Magazine, ICAEW’s FS Focus, PM Today, Management Today, The HR Director, Strategic HR Review, Money Marketing, FundWeb, CIMA’s Financial Management magazine, ACCA’s Accounting & Business, CCR Magazine, Minute Hack and many others. To peruse the published articles, go to the ‘In the Media‘ page of this site. 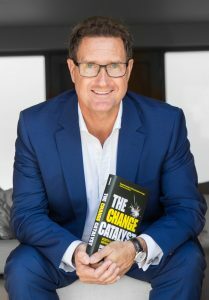 Campbell is the author of the 2018 Business Book of the Year – ‘The Change Catalyst (secrets to successful and sustainable business change)’. Published by Wiley and available on Amazon.com, Amazon.co.uk and Booktopia.com.au. Invesco: Leading Change workshops for EMEA leaders. rated 4.45 out of 5 (average L&D course scores 4.15). Facilitator and relevance rated 4.84 and 4.53 respectively. James Hay: Leading change workshops and strategy clarification and documentation. ADIA: Conducted consulting/advisory projects for the Investment Committee and IC members on matters of portfolio investment strategy, approach and governance. Led international peer reviews for the IC leadership to leading peers, major asset managers and institutional investors. Enabled transformation of the impact and value that the Evaluation & Follow up Division added to the Investment Committee. NB: The division reviews and comments on every submission and investment proposal that goes before the Investment Committee. IFDS: Enabled the establishment of two new market-leading businesses for this JV between State Street and DST: IFDS Platform Solutions and IFDS Retirement Solutions. Aligned the new leadership teams and led business development as an ad-hoc executive. BP Northbound: Director of this family business from 2011-2015. Assisted MD to replace manager and invest in the business, doubling the revenue to $1m per week and tripling EBITDA over 5 years. BP Queensland’s largest independent forecourt. Business successfully sold in 2015. Andersen Consulting: Senior Manager, Change – education of the AMP leadership, the creation of AMP global eBusiness department and transformation of AMP’s approach to eBusiness across insurance and online banking. InterMark: Founded Australia’s pioneer multimedia marketing agency. Change & Strategy International Ltd – Oxfordshire, UK.